The needles used are typically much smaller than hypodermic needles, and are solid rather than hollow, with a rounded rather than a beveled tip with the cutting edge of a hypodermic needle. Dry Needling is different than acupuncture with regards to the evaluation tools used, the assessment, the application, and the overall intended goal. What clinic results can we see? Increased range of motion, decreased pain, and restoration of function. 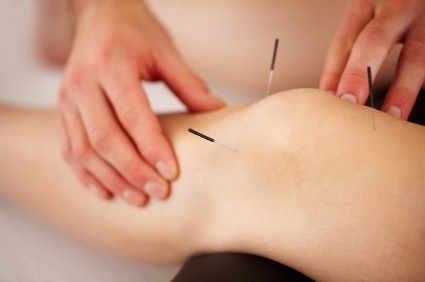 What are the physiological effects of dry needling? Decrease banding: tautness of tissue is reduced following the local twitch response. It is hypothesized that this correlates a restoration of normal sarcomere length, and a normal length tension relationship of the muscle, allowing for more efficient contraction. Decreased spontaneous activity: this is correlated with lower pain pressure thresholds, and may reflect a normalization of acetylcholine levels in the neuromuscular junction. Biochemical changes: Elevated levels of hydrogen ions, neurotransmitters (bradykinine, 5HT, NE, CGRP, substance P) have been noted locally in active trigger points , as well as remote areas (Shah, 2005, Shah, 200*) in patients with neck pain. Following a local twitch response elicited by rapid advancements to a needle tip, these chemical concentrations changed locally and remotely. 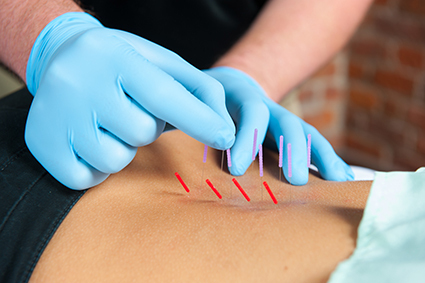 Are Physical Therapists Trained for Dry Needling? The Federation of State Boards published a paper that suggests there exists a historical basis, educational foundation, training, and supportive scientific evidence to support the use of dry needling by physical therapists, even though it is not an entry-level skill and should require additional training (FOSB, 2010). Due to variance in regulatory structure and practice acts from state to state, there is no uniform consensus among the states with regard to this topic, and so practitioners must refer to the practice acts in their state. Currently therapists in 26 jurisdictions (50 states + PR, USVI, and DC) are specifically permitted to preform, and not prohibited in 2, and are prohibited in 9. 5 jurisdictions are not resolved on this issue, and 11 jurisdictions hold no position on the issue, as is the case with Michigan.